The Army Black Knight's were defeated by the Rice Owls 41-21 at Michie Stadium at the United States Military Academy in West Point, NY on Saturday, October 11, 2014. 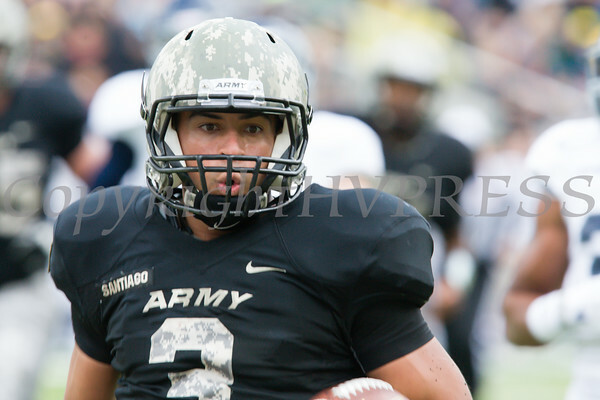 Army QB Angel Santiago (3) rushed for 106 yards against Rice. The Army Black Knight's were defeated by the Rice Owls 41-21 at Michie Stadium at the United States Military Academy in West Point, NY on Saturday, October 11, 2014. Hudson Valley Press/CHUCK STEWART, JR.